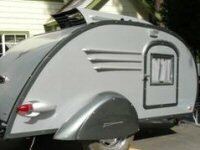 Teardrop Gatherings that are National/International in scope includes the United Kindom and Australian Chapters of TearJerkers. Anywhere in the country is fine. Where do you want to camp?